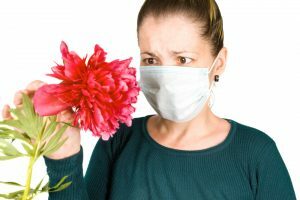 Spring allergy season is upon us, and for some of us, that means, itchy red eyes, runny nose, sinus headaches, aches and pains, and for some, even life-threatening asthma. Respiratory allergies are the most common, for the simple reason that we do not have much choice of the air we inhale. Pollens, dust, and other airborne allergens are everywhere, even indoors. Allergies are closely tied to inflammation, which is also the beginning of many diseases. The key then is to treat the inflammation. Many people, especially those who are eating a standard American diet of processed foods, vegetable oils and sugar have even higher amounts of inflammation. Result—bigger and stronger allergic reactions. Allergies and allergic reactions have increased over the last fifty years, and continue to grow, while climate change and warmer winters have created longer and longer allergy seasons as well. While allergic folks try to avoid the triggers that cause reactions, often that is impossible with seasonal allergies. You are literally surrounded by allergens in the air. Allergies are natural substances that the body reacts strongly to—the same as if a dangerous pathogen has entered your body. The immune system goes into overdrive, trying to fight it, all the while releasing immunoglobulins that contain histamine, creating the allergic reaction. The most common allergens include: pollen, dust mites, mold, insect stings, animal dander, latex, medications, and then foods. While there are plenty of medications to help with seasonal allergies, they often have undesired side effects, such as sleepiness, dryness, agitation, impaired immune response, and even weight gain. There are some effective alternative natural supplements that help, and essential oils are at the top of the list of safe, natural and effective treatments. One of the primary ways essential oils help with allergies is to reduce inflammation. Much of what we experience as allergy symptoms is actually the result of inflammation. Tame the inflammation and you tame the response. Essential oils also boost the immune system which can often be run down, fighting the imaginary invaders that allergens are. Essential oils can also help to detox and eliminate parasites, bacteria, viruses, and unhealthy fungal infections. 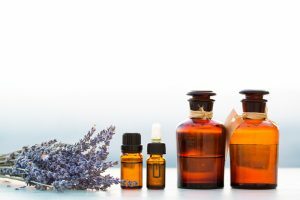 There are also specific essential oils that can mitigate asthma issues, sinus and respiratory problems, and soothe nasal passages, bronchial tubes and even allergic skin reactions. I put together a list of the most effective essential oils to help overcome allergies, with the help of Dr. Josh Axe’s recommendations on utilizing them. Peppermint oil is at the top of the list when it comes to one of the most effective essential oils. Peppermint is a very effective alternative treatment that can help to clear congestion, open airways, unclog the sinuses, and help relieve a scratchy throat. Peppermint is also valuable for coughs, asthma, sinusitis, and bronchitis. This study published in the Journal of Ethnopharmacology investigated the effects of peppermint oil on the trachea and the conclusion was that peppermint oil acts as an antispasmodic, making it extremely effective at calming a cough—without the harmful side effects of over the counter cough medicine. And this study shows the anti-inflammatory effects of peppermint oil, helping to stop the chronic inflammation of seasonal allergies and asthma. Peppermint oil can be used topically, diffused in the air, or ingested in small amounts. Use about 5 drops of peppermint oil at home to diffuse in the air to help unclog sinuses and open airways. 1-2 drops of peppermint oil can be taken internally to help reduce inflammation in the body. You can also add a couple drops of oil to water, coffee, tea, etc. Diffuse five drops of peppermint essential oil at home to unclog sinuses and treat a scratchy throat. This will also help to relax the nasal muscles, enabling the body to clear out mucus and allergens like pollen. To reduce inflammation, take 1–2 drops of pure peppermint essential oil internally once a day. To relieve a headache, rub a drop of peppermint oil on the temples, forehead, over the sinuses (stay away from the eyes) and on the back of the neck. To open up and unclog the nose and sinuses, you can also rub a small amount under the nose. I like to mix 10-12 drops of peppermint oil into a few tablespoons of coconut oil and put it in a tiny tupperware container, and then rub the coconut oil and peppermint oil mixture beneath my nostrils each day. Peppermint is also a mood lifter and helps to make one feel more energetic and alert, and has even been shown to increase and improve your fitness workouts. Lavender oil has a variety of uses, and is a great oil to keep on hand for many different ailments. Lavender oil is excellent for seasonal allergies because it contains natural antihistamines which help to tone down your body’s reactions to pollen, dust, animal dander and other airborne allergens. Lavender oil is also an effective antibacterial cleaner in the home and can be used to disinfect many surfaces safely without creating the super bacteria that many toxic household cleaners do. Rubbing a small amount on the palms and inhaling it periodically helps to clear your sinuses and reduce inflammation. It also smells great! One idea is to carry a few cotton balls with lavender oil in a container during allergy season, so you can use it as needed. Or try dabbing a bit on the forehead, cheeks and chest. This oil is mild and will not irritate the skin. Lavender oil is also especially soothing for allergic reactions like rashes, blisters, insect bites, etc. You can rub directly on the affected area or add a few drops to a cool compress. Lavender is also very calming and relaxing and works well at nighttime near your bed. Use a diffuser for its anti-inflammatory, soothing properties and to help you sleep better. You can also try several drops of lavender oil in your hot tub or in a hot bath at night to help relax you before bed. Add some epsom salt with your lavender in a night time bath for the extra benefits of magnesium for relaxation and muscle recovery. Basil has very powerful antioxidant capabilities, along with its anti-inflammatory properties. Basil also helps to not only strengthen the immune system, but it also has the ability to reduce the inflammation from allergies. Basil oil helps to balance and support the adrenal glands, which has much to do with lowering stress response, and balancing other hormones in the body. Basil is also a scientifically proven, highly effective antibacterial, antiviral, anti-inflammatory substance. Basil is also very effective at fighting yeasts and molds and can help ward off an asthma attack or other illnesses such as colds and flu. Dr. Josh Axe recommends one drop of basil oil taken internally by adding it to foods such as soups, drinks, salad dressings, etc. For the respiratory system, add 2-3 drops basil oil to a couple drops of coconut oil and apply topically to chest, back and temples. Eucalyptus oil is that refreshing, slightly medicinal, menthol smell that helps to open up the sinuses and bronchial tubes. That cold, slightly numbing feel it produces in the nose actually helps to improve breathing. Citronellal, one of the primary ingredients in eucalyptus, helps to treat and prevent respiratory infections as well as helping reduce the inflammation from allergies, according to a 2011 study in Evidence-Based Complementary and Alternative Medicine. Patients who were treated with eucalyptus spray reported an improvement in the severity of their most debilitating respiratory tract infection symptoms compared to participants in the placebo group. Diffuse 5 or so drops of eucalyptus at home in your diffuser or apply it topically to the chest, back or temples. You can also try adding a couple drops of eucalyptus oil to a bowl or boiling water, and place a large towel over your head to keep the steam in, inhaling deeply for 5-10 minutes. This helps to treat any respiratory issues and any inflammation from allergies. Lemon oil’s fresh, sunny smell will help to drain the lymph system (part of the immune system that cleans toxins and pathogens out of the body), and sooth respiratory issues. Lemon essential oil also fights bacteria, molds and viruses, all the while boosting your immune function. Lemon oil is especially effective, when diffused, at killing bacteria, molds and other allergens that are airborne. Lemon water is also a great detox aid, stimulating the immune function by increasing white blood cell production. On the other hand, it helps to detox the liver, which helps to calm down the immune system and protect against overreaction to allergens. You can also add a couple of drops of lemon oil to water to help balance the body’s pH. Generally, when the body becomes too acidic, you become more prone to illnesses, so it’s a good idea to keep the pH in balance. Lemon oil, with its fresh, clean, yummy smell also helps to kill germs and mold around the home, which are often allergic triggers as well. It works as well as bleach, without any harmful side effects. Add lemon oil to your laundry, or dilute with water for cleaning. Tea tree oil should be on hand in everyone’s medicine cabinet. It has an amazing variety of uses from antibacterial to antifungal and everything in between. Tea tree oil is not to be ingested, but is safe for use on the skin without dilution. Tea tree oil works well for skin irritation, such as redness, inflammation, and even swelling from poison ivy or allergic rashes, insect bites and other allergic reactions. Tea tree oil has the ability to destroy bacteria, molds and viruses that are airborne. A 2000 study conducted in Germany found that tea tree oil exhibits antimicrobial activity against a wide range of bacteria, yeasts and fungi. These microbes lead to inflammation and force our immune system to work on overdrive. Use tea tree oil on rashes and hives, or use as a household cleaner to eliminate bacteria and mold—common triggers for allergies. While tea tree oil can be used directly on skin, if you are sensitive, as many allergic people are, you can dilute with a carrier oil first. Other effective uses for essential oils include taking 1-2 drops of lemon or peppermint oil internally to calm down an allergic reaction from foods; tea tree oil or basil oil work well on rashes, as well as lavender oil. Use lemon oil and tea tree oil for cleaning around the house by adding about 40 drops of lemon oil, and 20 drops of tea tree oil to water and a small amount of vinegar. This kills bacteria, molds, dust mites, viruses and also catches any animal dander or pollen that may be floating around or sitting on the surfaces of your home. And lastly, combining 2 or 3 drops of peppermint, eucalyptus, and lavender oil together with coconut oil, makes a great massage oil, especially on the temples, back, chest and bottoms of the feet for allergies. Essential oils are powerful aids in fighting off the effects of seasonal and other allergies, but combined with a clean healthy diet that eliminates all processed starchy foods, grains, sugars, and chemical preservatives, and is high in fresh, organic, antioxidant filled veggies goes a long way towards calming allergic reactions. Previous: You Have Heard About Aromatherapy, But Do You Know What It Is?